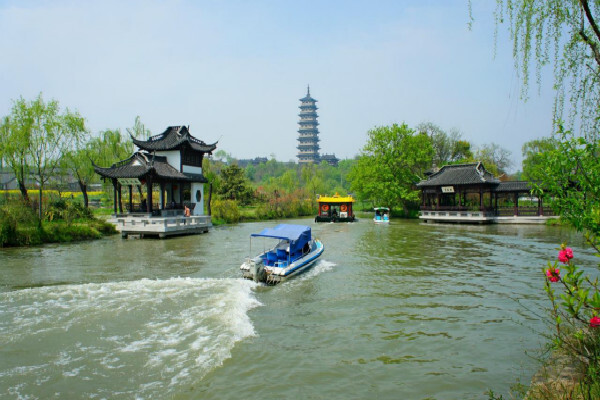 Slender West Lake is actually a wider YangZhou outside the river, formerly known as the BaoYang Lake. 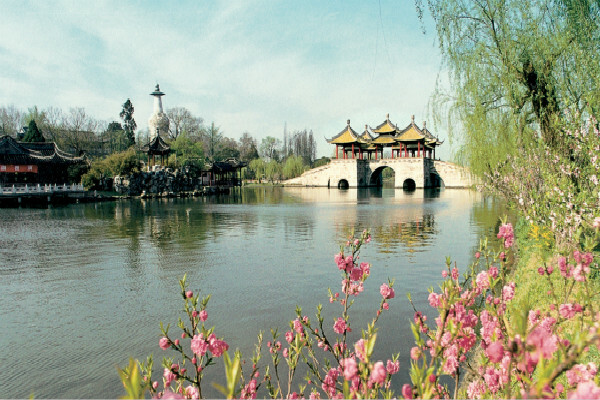 This area is more than 480 acres, and approximately 4.3 kilometers long. 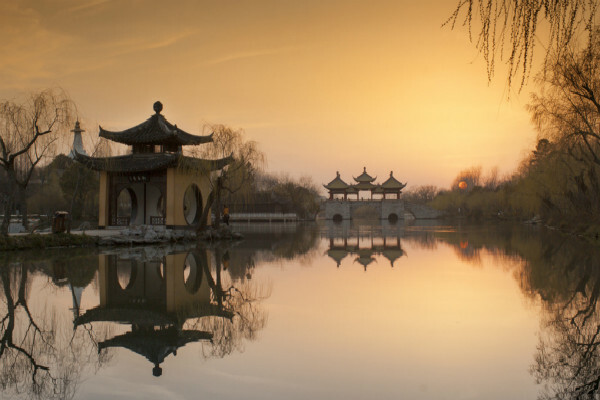 Existing lake scenic spot: the Wharf, the Five Pavilions, Western Bridge and Smelting Spring Park, LvYangCun, roll ShiDongTian, western music water, four bridge YanYu, hongqiao, changchun ridge, piano room, month view, MeiLing spring deep, the five pavilions bridge, the white clouds, sunny 24 bridge scenic spots, such as attractions.